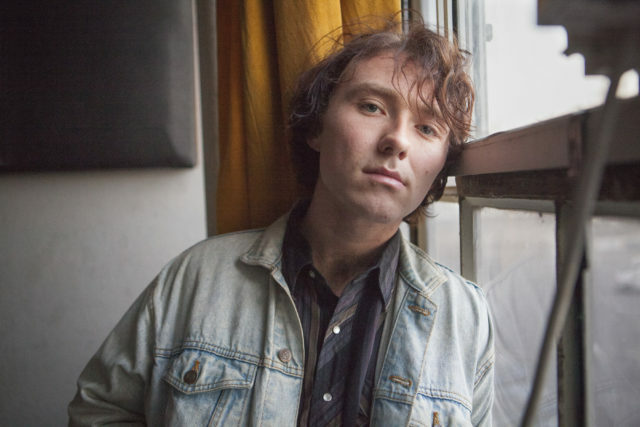 Current Joys is the enigmatic solo project of 25-year- old Henderson, Nevada born songwriter Nicholas Rattigan. In addition to his minimal two-piece band with Jacob Rubeck, Surf Curse, Rattigan has been releasing a prolific catalog of heart-wrenching no wave ballads via Bandcamp under a handful of names (including The Nicholas Project and Tele/Visions), eventually choosing Current Joys as the permanent moniker, based on a song by folk-artist Liam the Younger of the same name. His newest release, A Different Age, documents the process of making art and the desire to create it sincerely in an era fraught with extreme irony, apathy, and nostalgia. Ripe with many of the emotions and conflicts that have influenced Rattigan’s songwriting in the past, A Different Age contains some of his most poetic lyrics and thoughtful arrangements to date.